The very special New Year’s Resolution prices over at Get Organized Wizard have been extremely popular! But the specials end this week. 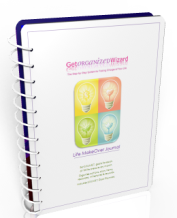 Life MakeOver Journal is your month-by-month tool for setting SMART goals across all important life areas. It helps you organize goal-related actions, diary items, milestones and rewards, and ensure your goals are specific, measureable, achievable, relevant and time-framed. For the girls, Life & Goal Organizer is a 360-degree life & goal organizer. There are over 340 pages and more than 150 ready-made action plans across 12 areas to help you get your whole life organized. The special prices end on Sunday – don’t miss out!